We first came across the scooters at Kids Living in Greenpoint and my parents decided that James, our two year old, had to have one right now. The problem is, once you start, you can’t stop. And he’s now onto his second one… Luckily when you have two boys you don’t need to worry about toys with wheels going unused. One of the main reasons that we moved back to South Africa a couple of years ago was because we just couldn’t imagine starting a family anywhere but in Cape Town. Fast forward 4 years and we have two gorgeous busy little boys (a 2 year old and a 6 month old) and we’re so happy to have them. Did I mention how busy they are? The 6 month old can’t even crawl yet but somehow he doesn’t seem to stop moving. And then there’s the 2 year old who is either at 100% speed or asleep. There is no middle ground. Micro Scooters are a Swiss brand who place emphasis on design and quality, and it shows. Have a look at their gorgeous scooters. I love how they phrased it: “PREFER QUALITY? WE DO TOO. 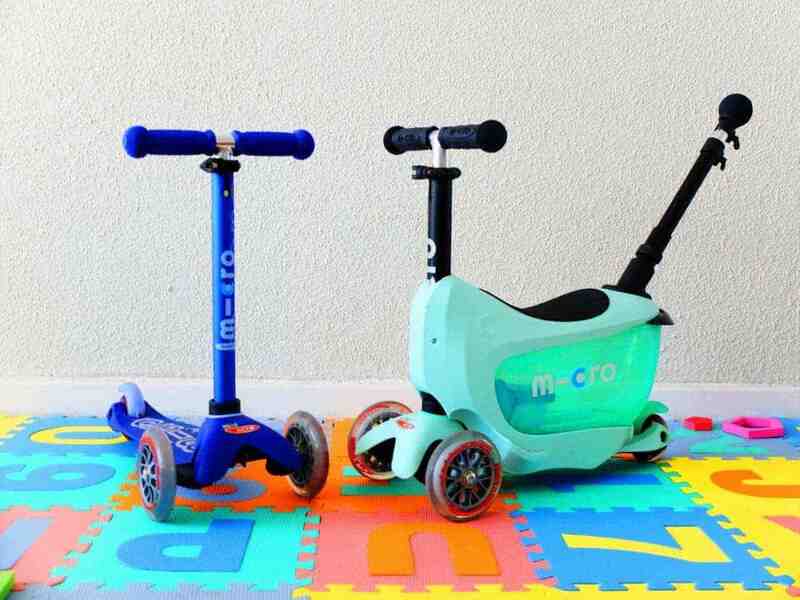 As parents, our priorities for our kids’ toys are universal – quality, safety, educational and fun.” That’s exactly how we’ve experienced the Micro Scooters. The product is high quality with great finishes and it’s sturdy and secure enough for our 2 year old to use it safely. It’s been fun watching him learn to use both of them, growing in confidence and skill every time he jumps on (and he’s had fun learning – he often rides his scooter through the house). All of this means that the Micro scooters are amazing. They’re sturdy, beautiful and really good quality. We have two different versions. James gets to use both at the moment, but I’m sure Matthew will be ready for the seated one very soon! The seated scooter is a design marvel, it’s a regular scooter with a box seat that it easy to install and very secure. The box can be pulled out and used for storage (which my toddler LOVES!) so you can pack snacks and a couple of toys in there. There is also an extendable handle (or steering stick) that is attached at the back of the box so your child can sit on the seat and push himself or you can keep control by using the steering stick at the back. Our second scooter is beautiful, a deep purple/blue colour with slightly bigger wheels and it’s our toddler’s favourite. He’s still working out how to use it, but he’s definitely the right age for it and it feels like it will last him for the next couple of years. Toy Lab and and Toy Planet have the biggest ranges. Also, view our article on driving lessons in Cape Town and k53 learners tests. Also check out ‘oil painting‘ tips and techniques. Have a look at our other article on choosing the best blinds in Cape Town. ** Disclaimer: we purchased the green scooter with the seat and were given the purple scooter to review.